The rumours have come true as Na`Vi have just announced that they will be replacing Sergey 'Ars-Art' Revin with former member of Team Empire Gleb 'Funn1k' Lipatnikov. While the news may be surprising to some, it has been an open secret that there have been problem within Na`Vi tracing back to before The International 2012, as players have been failing to find the motivation to practice in order to sustain a high level of play. Even though when it most mattered the team stepped up, many have been asking whether the same would be possible to orchestrate at the next International, and it seems Na`Vi have decided not to take that chance, choosing to let Ars-Art go in favour of up and coming star Funn1k, who left his team just this morning. This new team composition might see Funn1k return to the role he held with DTS and Darer, as he used to play support full time, not just the occasional Wisp as with Empire. Another option might be that we will see Alexander 'XBOCT' Dashkevich return to a support role, which he hasn't held in a very long time, which might free up Dimitriy 'LighTofHeaveN' Kupriyanov to take back his hard carry role of the past. Whatever does happen, there is no lack of flexibility in this new Na`Vi lineup, as for the first time Lost is no longer married to the offlane, with another capable players able to take his place if the draft so demands. I would like to thank Natus Vincere e-Sports Club for this wonderful year and a half that I've been a part of it. Thanks to the guys for their your support and victories. Thanks to the staff for all their assistance in every aspect. 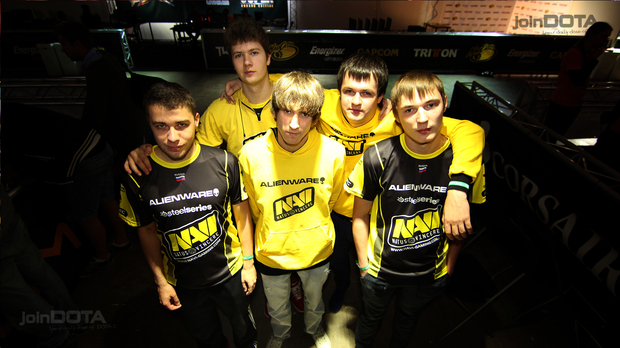 Special thanks to ZeroGravity, of course, who asked me to join Na`Vi back in that days. I want to wish good luck and new achivements to the new team. See you soon, just in a new squad! Today I announce that one of our players will be leaving the team, Sergey "AA" Revin. The presence of Smile in this team will always be remembered, because he was a part of what created Na`Vi. Times have been different and conflicts have arisen. It has been an uneasy environment for a long period of time, we have been trying to fix this situation but have failed to do so. That is why we will bring new blood and friendship to the team. Funn1k, an old friend of XBOCT and a remarkable player will be joining us today to rebuild Na`Vi and create a new environment. I feel sorry to leave my current team, but still Na`Vi is on top of the e-Sports and it's worth trying to become the best. I am very happy that I will be now playing with this team and won't say smth like 'we will become number 1 in the world'. I don't know if we will, but I know that I'll do my best to make it happen.